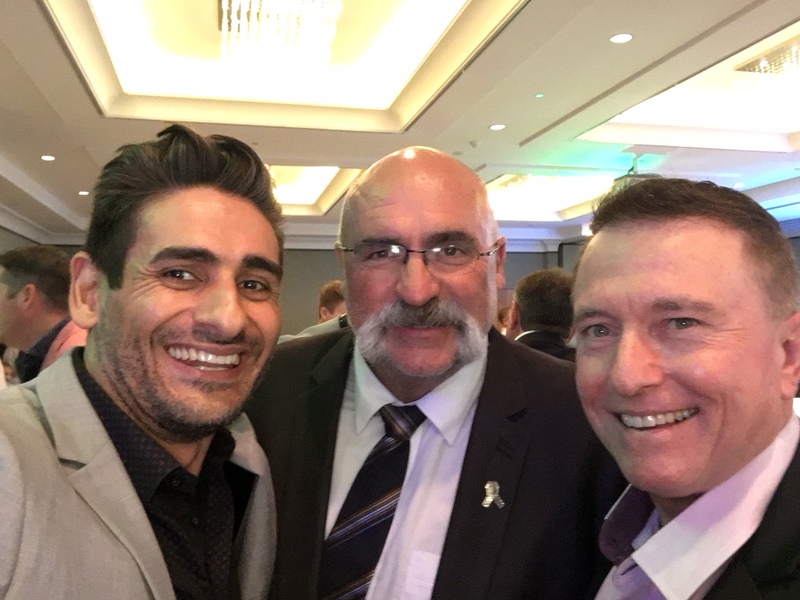 Chris and Justin brushed shoulders with Aussie legend Merv Hughes at a recent event fundraising to allow disadvantaged kids to attend Trinity College. He clearly thought to himself, “now there’s two sharp roosters I want to have a selfie with!” – made his way through the crowd and asked them for quick photo. We still can’t believe he didn’t ask them for an autograph, surely he knows these guys run the best Research Agency in WA? Merv had the pleasure of bumping into the boys at a Trinity College Old Boys fund raising event to raise money for the school’s bursaries, allowing boys of Aboriginal and Torres Strait Islander background, boys of Refugee background and boys who are the sons or grandsons of Old Boys to attend the school who for financial reasons otherwise wouldn’t be able to.